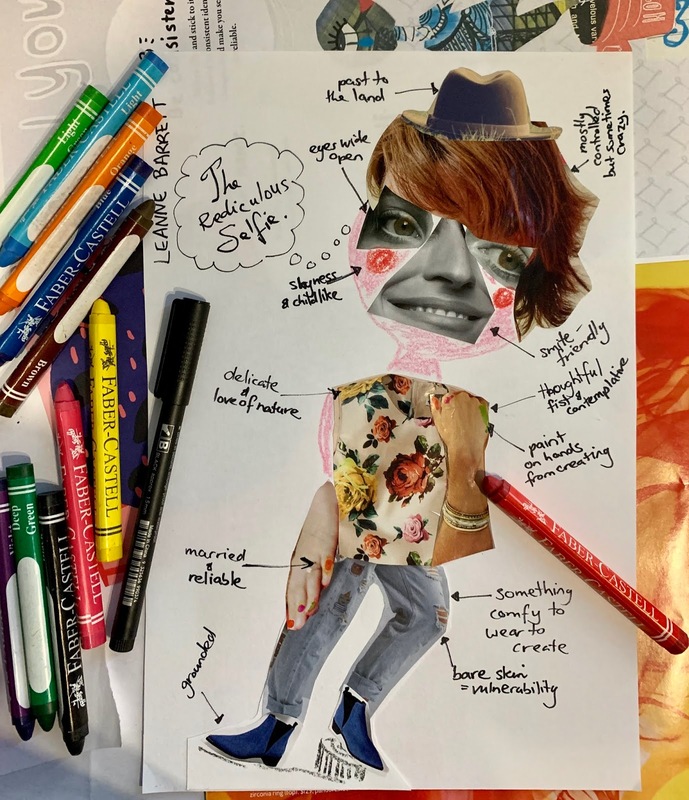 Ridiculous Selfies and Passions that Spilt Over on Day Three of Nina Rycroft's Portfolio Project. In session one Zoe Collins walked us through the idea of branding ourselves - how are we unique and what do we want to be known for? Mmmm food for thought. Session two we looked at neurology and creativity with Yvonne Mes. What resonated with me the most was how creativity can spill over from a range of things that we do. And that our passion can lead into our portfolio and our style. Below is one way my creativity has spilt into other areas of interest in my life. Being mindful while walking the dog led to photos of tree knots. 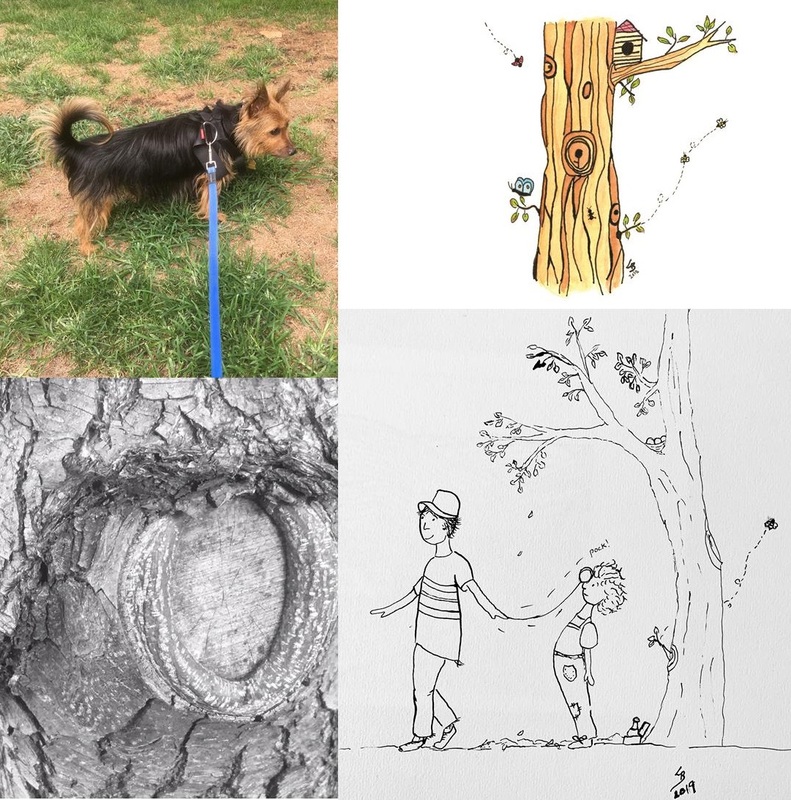 Tree knots turned up in my 100 Days of Circles illustrations that became greeting cards. The images of trees on the greeting card turned up while doing the Day Two: Session 1 CHALLENGE - Take a child and give them character...something that could be refined and go into my portfolio.